If you are highly motivated, innovative, and thrive in a dynamic team environment, Insurance Technologies might be your next adventure. While focusing on developing outstanding solutions for our clients, we also focus on our team members' growth! We value our employees and strive to provide benefits that truly benefit them and their families. We're always looking for team players to help us expand our team and who want to build a great future together. At Insurance Technologies, our team members are our greatest assets. We strive to be the best at what we do, do what’s best for our customers, encourage creativity and innovation, champion teamwork, take care of our employees and most importantly have fun together. We believe in a culture that values and recognizes our team of employees as the core to our success. 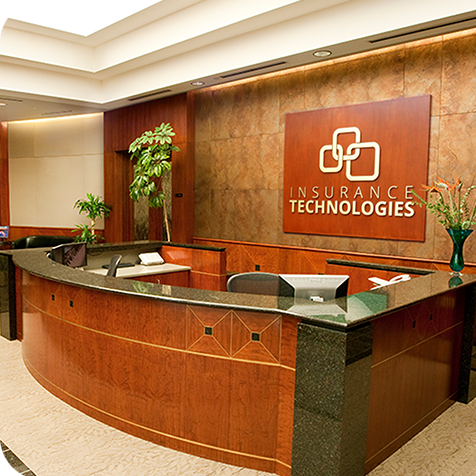 At Insurance Technologies, we have worked hard to create and maintain a culture that fosters innovation and openness. Whether it's professional development, catered lunches, health and wellness programs, making our employees happy is what we strive for. We are located in the heart of Colorado Springs surrounded by the natural beauty of Garden of the Gods and Pikes Peak. The Business Analyst (BA) serves as the industry expert to the Professional Services department, possessing an understanding and knowledge of Life, Annuities, LTC, Disability and other insurance industry products, sales concepts and business development processes. The BA is the conduit between the customer and the software implementation teams and is involved throughout the software development life cycle starting with requirements gathering and continuing all the way through to the successful implementation of each project. Candidates must have 5+ years working experience in the financial services industry and 2+ years experience in gathering and writing business requirements for life and annuity products. An understanding of the Software Development Life Cycle is preferred. The Project Manager (PM) supports clients throughout the project and software lifecycle by managing the overall project scope. Responsibilities include planning, directing, coordinating and facilitating all project activities to ensure project goals are accomplished on time, within budget and meets business objectives. The PM manages the development and tracking of project plans including deliverables, budget, milestones, resources, schedule, dependencies and operational definitions. The PM must possess demonstrated experience leading and managing a sizable team of software and industry professionals. PM interfaces with clients on a daily basis, keeping them informed on the current project. Candidates must have at least a Bachelor's degree in Project Management, IT Project Management, Business, Computer Science, or Information systems and 3-5 Years related Project Management Experience. Project Management Certification is a plus (PMP, CAPM, CPM3, etc.). The Quality Engineer (QE) executes thorough regression testing after all builds/installs based on established standards, and analyzes and documents test findings. The QE is responsible for monitoring the defect tracking system for testing requirements and documents problem defects when applicable. To effectively identify, resolve and communicate errors, the QE is accountable for understanding the Software Development Life Cycle, debugging tools, and best practice techniques. The QE works with Project Managers to provide release notes for each client release, including work orders, change requests and defects details. Candidates must have working knowledge of Windows applications and operating systems. Qualified candidates must have 1-3 years of experience in software testing using Microsoft tools and technologies, or 1-3 years of experience with duties and responsibilities directly related to those specified above. Associated business knowledge may substitute for some testing experience. Helpdesk support or experience in the insurance or financial services industry are desirable. The Sales Support Associate is responsible for sales administration and support for sales representatives. The Sales Support Associate works closely with designated sales representatives, providing administrative, operational, prospecting, lead and presale process support. Responsibilities include, but not limited to, logging and maintaining accurate information and correspondences in the CRM system, strategizing and performing outbound and inbound prospecting efforts, generating weekly and monthly lead reports, monitoring and communicating product specific competitor intelligence and industry advances, assisting team members in building and cultivating key prospect and customer relationships, and providing administrative support to sales as needed through the sales life cycle. Candidates must have at least a Bachelor's degree in Business, Communications, Marketing or a minimum of 3 years of experience directly related to the duties and responsibilities specified. 2+ years of related lead generation or insides sales experience and Salesforce experience are a plus. If you are interested in a career opportunity with Insurance Technologies, send your resume or inquiry to careers@insurancetechnologies.com. We look forward to hearing from you! Connect with us today to learn more! Call us today at 719.442.6400 or complete the form below for a product specialist to contact you.